It was declared a terrorist incident yesterday (17 March), following the arrest of a 50-year-old man from Stanwell, on suspicion of attempted murder and racially aggravated public order. Detectives are particularly keen to hear from anyone who witnessed the incidents, or who may have footage of the incidents on their phones or dash-cams, to contact Surrey Police on 101, quoting reference number 19060857. Searches have been carried out in Viola Avenue today and are ongoing. A police scene remains in place. Detective Superintendent Nigel Doak, from Counter Terrorism Policing South East, said “We are appealing for anyone who witnessed the incident, has any footage of the incident or any information which could assist our investigation, to please contact Surrey Police on 101. “Detectives have been working throughout the weekend and this morning to establish the facts surrounding this incident. Whilst this investigation remains in the early stages, it has continued to show the hallmarks of a terrorist event. It is believed that the offender made racial comments and statements, promoting extreme far right views before carrying out the attack. “Police are committed to tackling all forms of toxic extremist ideology, which has the potential to threaten public safety and security. Extreme right wing investigations are pursued by our officers with the same level of resource and determination as other forms of extremist ideology. The 50-year-old man was originally arrested by Surrey Police on Saturday evening. He was further arrested at 7pm on Sunday (17/3) by CTPSE detectives, under Section 41 of the Terrorism Act 2000. The man remains in police custody at this time. A warrant for further detention was granted today (18/3) by Westminster Magistrates Court allowing police to detain him up until Saturday March 23. The circumstances of the initial incident are that, at 10.18pm on Saturday (16/3), Surrey Police were called to Viola Avenue in Stanwell, to reports of a man acting aggressively and shouting racist comments whilst carrying a baseball bat and a knife. Several nearby vehicles were also damaged. A further call was received by Surrey Police at 11.08pm, and it was reported that a man had been stabbed in the Tesco car park in Town Lane. It is believed that the suspect for the attack was the same man who was reported as acting aggressively earlier that day. Surrey Police, including armed officers, were quickly on scene to search for the suspect. Officers located the man and he was detained at 11.11pm in Town Lane. The victim, a 19-year-old man, sustained serious injuries to his hands. Detectives believe he entered McDonalds to seek help after being attacked and was then taken to hospital by ambulance to Ashford Hospital. He has since been transferred to St George’s Hospital for specialist treatment, where he underwent surgery last night and was discharged today. Detective Superintendent Karen Mizzi, from Surrey Police, said: “This is a shocking and worrying incident and we are working to support our colleagues at Counter Terrorism Police South East with their enquiries and will continue to liaise with the local community. “I want to reassure residents that we are doing all we can to ensure a thorough investigation takes place and we are supporting those affected by Saturday night’s events. Counter Terrorism Policing South East are leading an investigation into an incident last night, which has now been declared a terrorist incident, following the arrest of a man on suspicion of attempted murder and racially aggravated public order in Surrey. 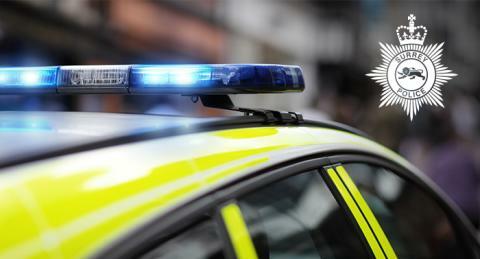 A 50-year-old man was arrested yesterday evening (16 March) by Surrey Police officers following a stabbing in Stanwell. Just before 10.30pm Surrey Police were called to Viola Avenue, to reports of a man acting aggressively and shouting racist comments whilst carrying a baseball bat and a knife. Several nearby vehicles were also damaged. A further call was received by Surrey Police at 10.30pm reporting that a man had been stabbed. It is believed that the suspect is the same man who was reported as acting aggressively. Officers, including armed officers, were quickly on scene to search for the suspect. Officers located the man, who is from Stanwell, and arrested him, he is currently in police custody. Police are not looking for any other persons in connection with this incident. The 19-years old victim sustained non-life threatening injuries, he was taken to hospital where he remains at this time. Assistant Commissioner, Neil Basu, Head of Counter Terrorism Policing said “Whilst this investigation is still in its infancy, it has hallmarks of a terror event, inspired by the far right, and therefore it has been declared a terrorism incident. This allows us to use all of the specialist capabilities available to establish the full circumstances of this attack. The investigation is being led by an investigation team based in the, Counter Terrorism Policing, South East region, who are working closely with our colleagues in Surrey Police in order to build a better picture of what has occurred. "Police also routinely carry out daily activities to provide protection and security to the public, institutions and businesses. This activity remains under constant review to counter the threats that the UK is facing. "The public also has a part to play - and I would urge everyone to remain vigilant and report anything suspicious to police." For information about what to do if worried that someone may have extreme views go to the www.ltai.info. We are assisting our colleagues at Counter Terrorism Police South East with their investigation into the two incidents in Stanwell last night (Saturday, 16 March) which have now been declared as terror related. Detective Superintendent Karen Mizzi said: “This is a shocking and worrying incident and we are working to support our colleagues at Counter Terrorism Police South East with their enquiries and will continue to liaise with the local community. “Patrols will be stepped up across Stanwell in order to provide assurances to those in the area specifically around mosques and increasing engagement with communities of all faiths, giving advice on how people and places can protect themselves. “Places of worship can also use our online training package ‘ACT Awareness eLearning’ for advice on Protective Security and how to react should the worst happen. It can be found at https://www.gov.uk/government/news/act-awareness-elearning. "We also encourage everyone to be aware of our Run, Hide, Tell advice. “Last night officers, including armed officers, were immediately deployed and swiftly detained the suspect while working with our emergency service partners to support the victim and those affected. We were also assisted by various members of the public who called in and provided information that helped us locate the suspect promptly. “We stand together with all communities in Surrey and we will take action against any criminal behaviour which seeks to undermine society, especially where crimes are motivated by hate. There can never be any excuse for this type of incident in any shape or form and this criminality will not be tolerated. If you see or hear something unusual or suspicious trust your instincts and act by reporting it in confidence at gov.uk/ACT or, in an emergency, dial 999.